You might be thinking whether you should add a mobile shopping cart to your online store. Is it really necessary since most users shop through their laptops and computers? Regardless of how your customers shop at your store, you will only benefit if you have a mobile cart for your store. The number of people who are shopping on their mobiles is increasing and you can take advantage of this by adding a mobile cart and optimizing it. Today, more than half of the sales are a result of shopping through mobile phones. The reason why most of the customers shop on desktops is that they had a negative experience when they used their mobile phones. Usually, the mistake that many store owners make is they put no focus on the mobile shopping cart. This leads to a clunky and unresponsive mobile cart. Who wants to shop on something like that? Even if the customer really wanted to make a purchase through their mobile phones they wouldn’t do it because they would not want to go through the pain of placing an order through their mobile phone. Another reason what many customers do is that they browse using their mobiles but place an order through their desktop computers. Some customers lose interest in buying the product by the time they are supposed to order through their computers. When you put some effort into making an amazing mobile shopping cart, you will see your sales will surely increase in no time. Customers who might have placed products in the cart for later consideration will be compelled to buy it right away from their mobiles. This will ensure that the number of abandoned carts will decrease too. Now that you are aware of what a huge difference it can make to have a mobile shopping cart how should you go about it? Gone are the days when you had to fumble to do everything to integrate a mobile cart into your website. Shopify is an excellent example of an e-commerce solution that provides a mobile cart to its merchants free of cost. You only have to tweak a few things and then you are good to go. This makes it a practical solution for anyone who wants to let their customers shop easily and place orders effortlessly through their mobile phones. Shopify provides mobile shopping cart option. Shopify’s advantage is you get to choose from a wide range of themes which have been solely developed for smartphones. These themes ensure that your shopping cart looks better. When your website does not look good on the mobile, no one will be enticed to buy from it. However, if the website and the cart are effectively designed and they are optimized for the mobile phone, more people will purchase directly from the mobile. Shopify only has responsive themes which give the perfect viewing capability. Your website looks just as great as on the mobile. Shopify is a winner for another reason. Regardless of the plan that you choose, you will get the mobile shopping cart built-in which means fewer hassles for you. 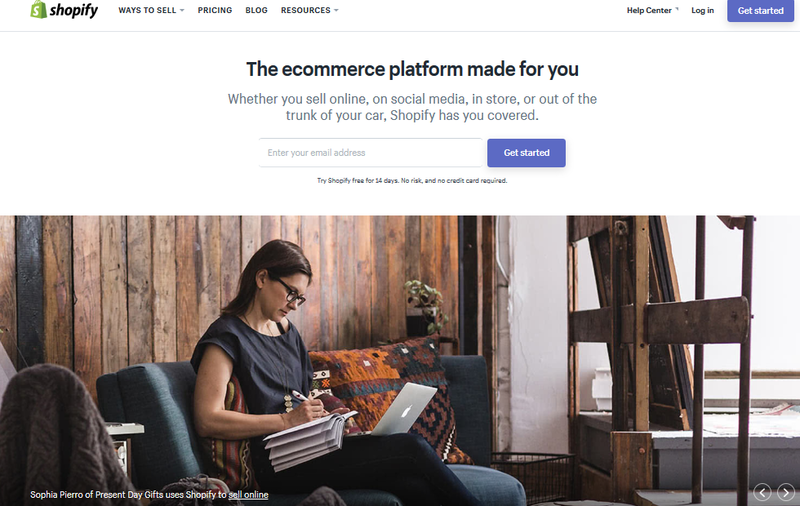 The servers of Shopify are really fast which ensure there are no delays when customers are selecting an item or viewing the items in their cart. It all happens at such a rapid pace that customers start to enjoy placing an order through their mobiles. The best part is that data syncing happens at the real time. Your POS system, mobile app, and online store are all synced so you always have the updated information in all of them. What about you as a business owner? Shopify benefits you as well. You get to manage your entire online store straight from your mobile too! You can check everything you want about your store on your mobile. Even when you are away for a vacation you can keep tabs on how your online store on Shopify is doing. When you are viewing the shopping cart from your mobile, you will be able to see the complete cart flawlessly from your mobile phone. This enables you to check the orders amongst other tasks of your online store. There is simply no denying that mobile shopping cart is the need of the hour. If you do not have it integrated yet, then you should get to it right away. Don’t miss out on this remarkable opportunity to increase customers and increase sales. You should ensure that you use a dynamic solution such as Shopify which makes it convenient for you and your customers in many ways. Moreover, it simplifies everything for you so you can concentrate on your ecommerce business better to make it scale as you dreamed it.